RMJM’s Dubai studio has unveiled an ambitious masterplan for a new city near Karachi in Pakistan. In partnership with Doxiadis and Osmani Associates along with Professor Spiro Pollalis as chief planner, RMJM won a design competition in August 2010 to undertake the master planning study of DHA City in Karachi on an 11,640 acre rural site. 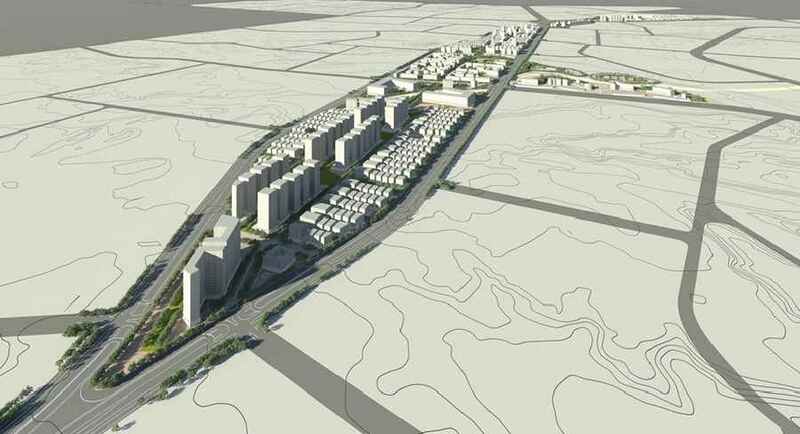 Situated 50 kilometres from Karachi, DHA City is seen as a 21st Century model city for Pakistan and is a landmark project for the country, introducing new standards of planning adapted to the local conditions. It also continues the region’s expansion towards Hyderabad, the second largest city in the Sindh province. 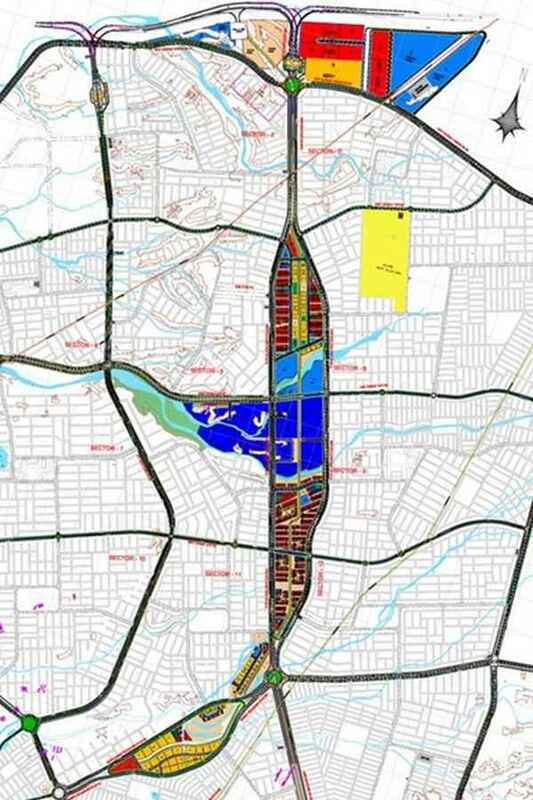 The masterplan consists of 50,000 residential and commercial plots, specialised healthcare and higher education institutes, theme parks, a convention centre, informal and formal sports and recreation facilities and resorts, retail and restaurants, along with all necessary community facilities. At the heart of the new city lies the City Gateway and Downtown district that house the Central Business, Culture & Arts, Education, Central Market and Mixed-use Sub Districts. Careful consideration has been given to the distribution of land uses within this area in order to provide a vital economic and cultural heart that will support the city as it grows. The downtown district will be defined by a car free pedestrianised spine with tree-lined pathways, garden courtyards, water features and piazza’s. This is aimed at promoting pedestrian movement to improve the quality of life for the downtown employees, visitors and residents. An efficient public transportation system will help support this. The entire masterplan approach is focused on sustainable design principles and these principles have been implemented across the entire city. A strategy has been laid out that looks at maintaining the ecological integrity of the site through the preservation and incorporation of prominent natural features that are integrated as green fingers and wind corridors. 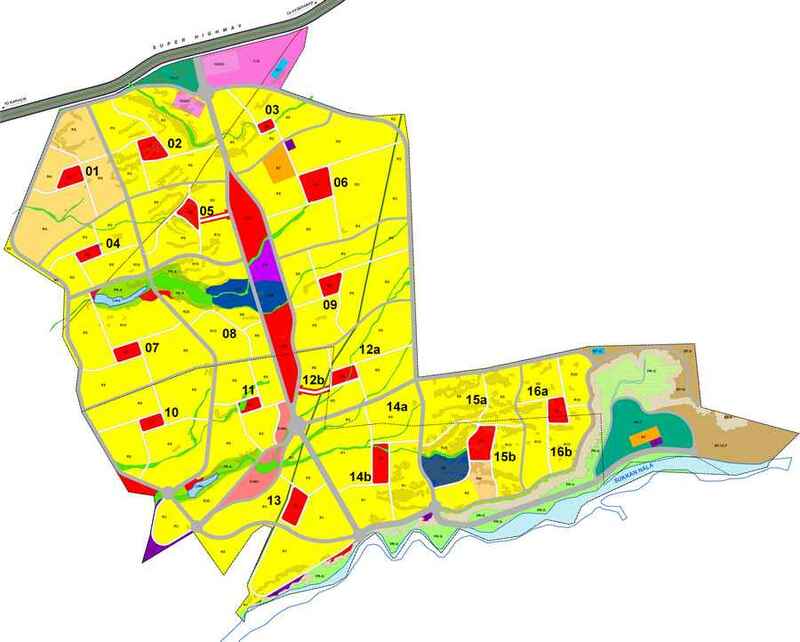 Construction on the new city is expected to start in early 2012, commencing with primary infrastructures and facilities. Construction of the development will then progress in stages, with full completion expected by 2030. Ziyad Mahmoud, associate at RMJM said: “Since our appointment 12 months ago we have developed a masterplan that adopts and implements the planning principles behind the Ekistics theory. 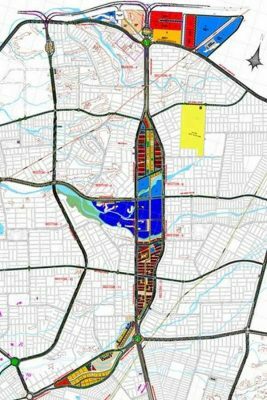 “This theory promotes the concept of mixed use residential sectors by creating multiple centres within them spreading facilities such as commerce, amenities and parks throughout these areas. “The principle behind the masterplan is a group of self-sustaining cities within a city, with community amenities accessible to all residents within a 10 minute walk.